Few things aggravate me more than a closet piled with STUFF. I’m not a naturally organized person, and I’ll be honest, most days my house looks like I lost a game of Jumanji. 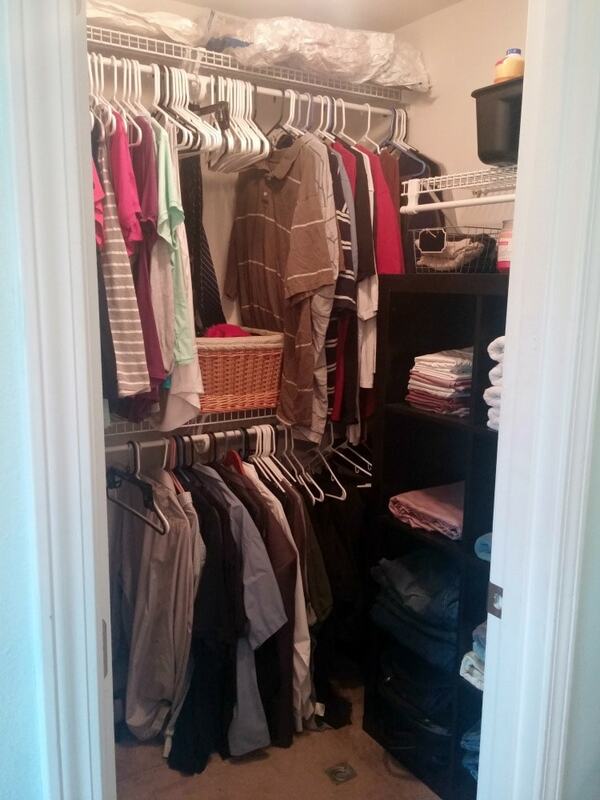 One of the “hot spots” in our house is the master closet. If you can even call it a “master”. 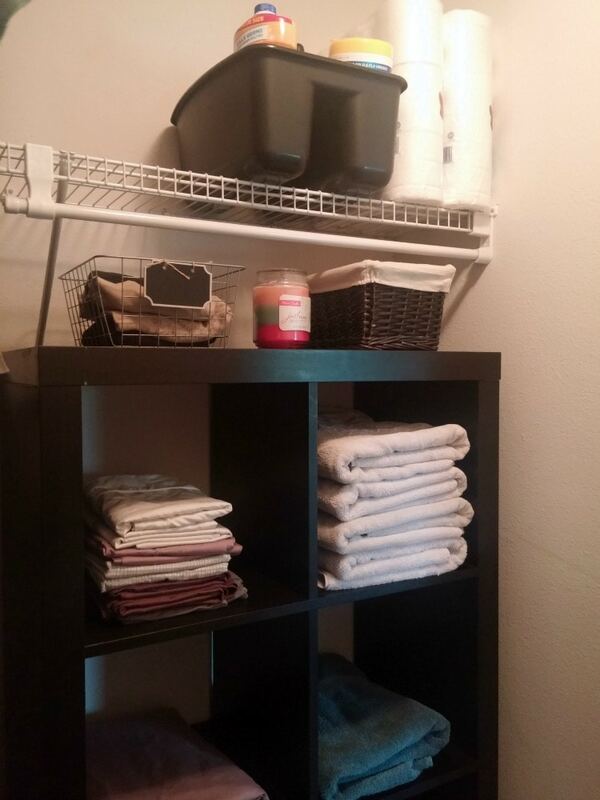 Sure it’s a walk-in closet, but the problem is that we have teeny, tiny bathrooms that have no storage, AND no linen closet. So our “master closet” has to work overtime and really hold a lot more than just our clothes. Recently, I set out to organize this monster. I wanted to make it as functional as possible without spending a fortune on one of those fancy closet systems (because, let’s be real here…money is tight around these parts). I had to get clever and improvise. I wrangled up a few baskets we already had around the house and grabbed my shelf unit from the office which was just taking up space. Then I went to Lowe’s and picked up a few other containers as well as some of these Ziploc® Space Bags®. You can see below that the shelf unit is what used to be a space for long hanging clothing items. I don’t own any dresses or other long items so this space was wasted by having shorter shirts hanging here. Instead, we used the double-hung racks on the long wall to maximize space. I got the Ziploc® Space Bags® because since this closet is also our linen closet, this is where we keep extra blankets, comforters and guest sheets. I keep an everyday set of sheets on the guest bed (just so the bed isn’t naked) and I swap out for clean sheets when guests come. If I put them in the Ziploc® Space Bags®, I don’t have to worry about them getting dusty, or full of dog and cat fur between guest visits. Plus, they compress everything down so it takes up WAY less room. This, of course, is crucial when space is limited. Once your items are compressed, you can even store them under your bed to free up more room in the closet! If your closet does double or triple duty like mine, you’re gonna want to grab a few of these. You can use them to store your off-season clothing too. When summer comes, you can put your parkas and snow suits in one of these bad boys. I also like to use baskets, totes and other stackable storage items. 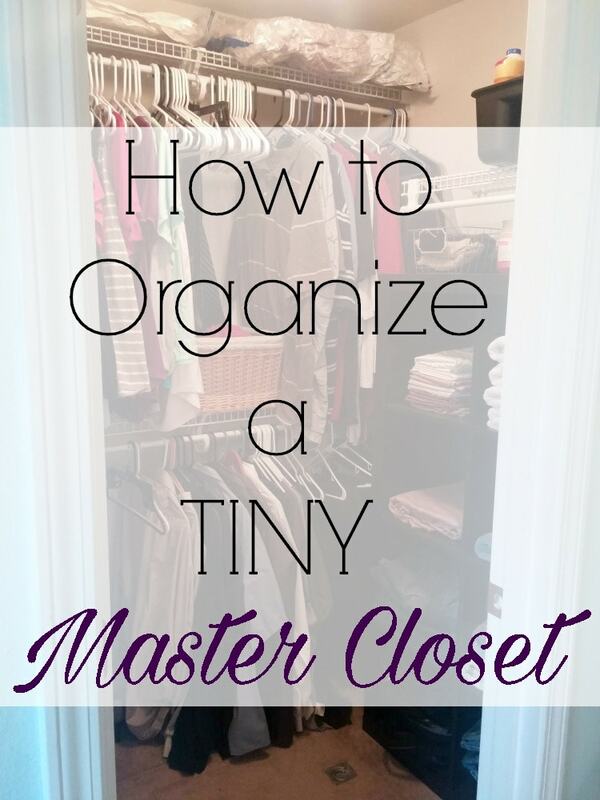 When it comes to a tiny closet, using vertical space and stackable storage containers/bags makes it easier to get everything in there in an organized fashion. Utilize ALL the vertical space. Don’t be afraid to reconfigure – look at your wardrobe, and see what kind of storage will suit your closet best. Put frequently used items within easy reach. I know my closet will never grace the pages of a magazine. It’s not one of those grand, elaborate show pieces but it works for our home now that we have these organizational tools in place. 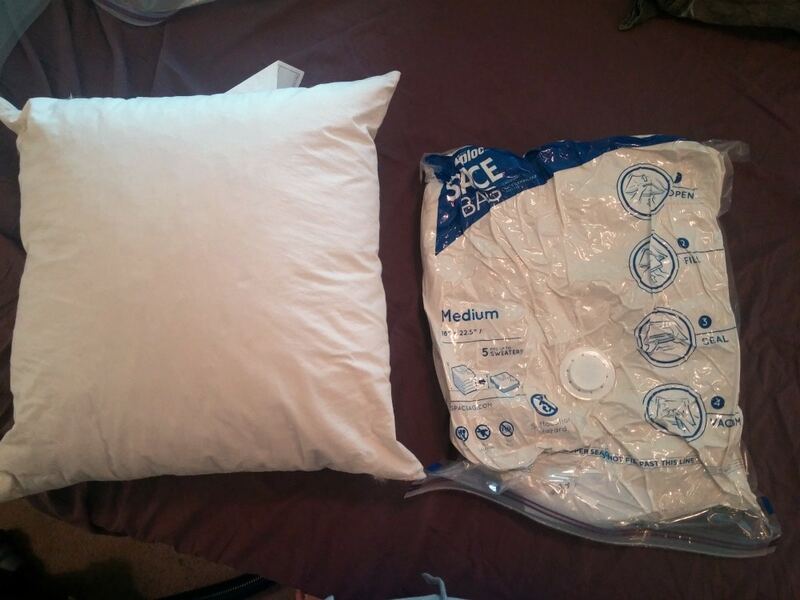 I even have MORE space now since we’re using the Ziploc® Space Bags®. 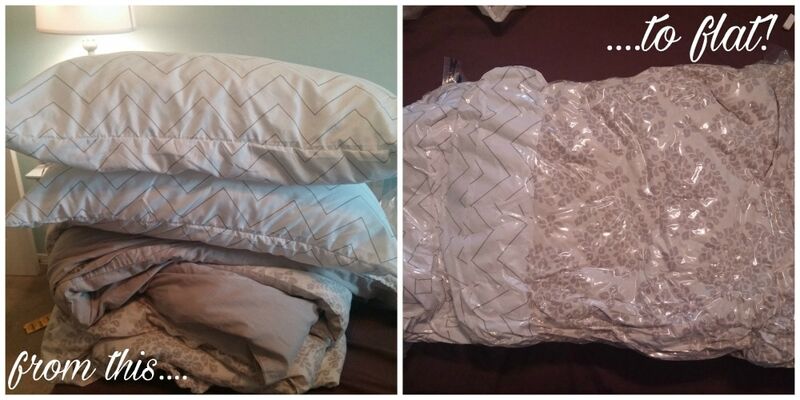 They are airtight and reusable, so I can take out the comforter and pillows for the guest bed and re-seal them after the guests have left (and they’ve been washed of course!). 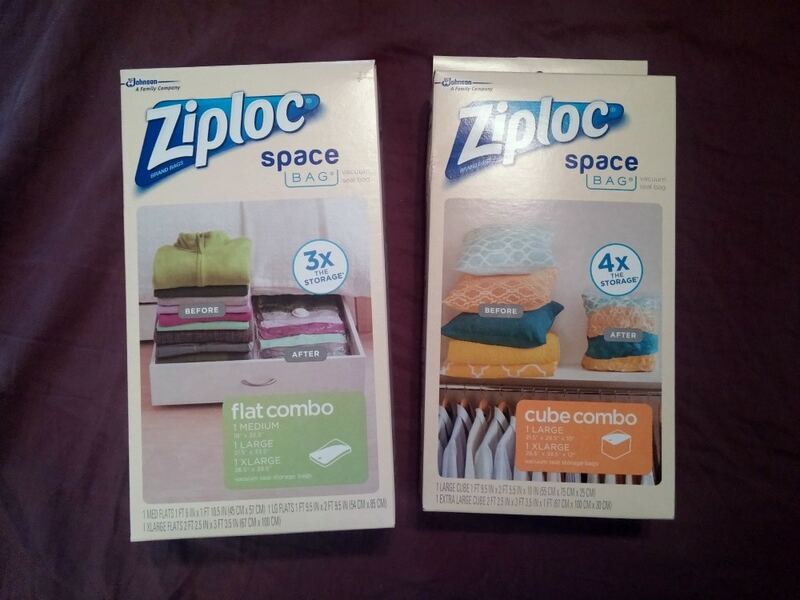 Have you used Ziploc® Space Bags® to organize your home? I’ve learned over 60 years I needed much less stuff than I realized. I separated want, it cost a lot, looks pretty, “but it’s on sale,” versus need. Do I need to keep those old towels, then why did I buy two new sets? I no longer keep “only” at home cloths, if they are that bad why wear them ever. I’ve kept a pair of pants & 1 old sweatshirt for crafts/painting etc. If clothing becomes used I only replace it if I toss the old first. How many pairs of black shoes do I really need? Ive looked at my stuff and deleted. I feel free, it’s difficult but feels so good. I appreciate what I now have and some of that comes from because I can see it clearly. I cleaned out my parents home after they passed, Holy crap the stuff people save even in a organized home is extreme. I really saw myself that day. I have been trying to purge as much as I can recently too. I have been going room to room and selling some stuff and donating the rest. 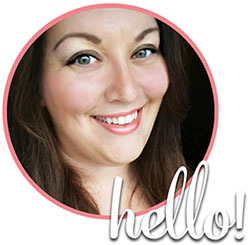 I have made $1,200 selling things and donated much more! I could probably sweep my entire house again and find even more to get rid of. I feel soooo much better after I get rid of things. Tiffany, yes it is the lingering feeling good that has come as the biggest surprize. WOW! I don’t think I have anything of value to sell, but I do need to clear out and donate. Our house is 1300 sq feet but it feels much smaller because of all the STUFF! I completely understand. My parents house was always clean and well-kept and yet they filled SEVERAL dumpsters when they moved recently after 20 years. LOTS of accumulated “stuff”. I have a habit myself of keeping old stuff as “back ups” or “painting clothes” etc. 25 pairs of briefs is a little excessive unless you REALLY hate laundry! haha!